For those who haven’t seen the biological father of P-Square musical duo, pictured above is Mr Okoye, the dad of Peter,Paul and Jude Okoye. 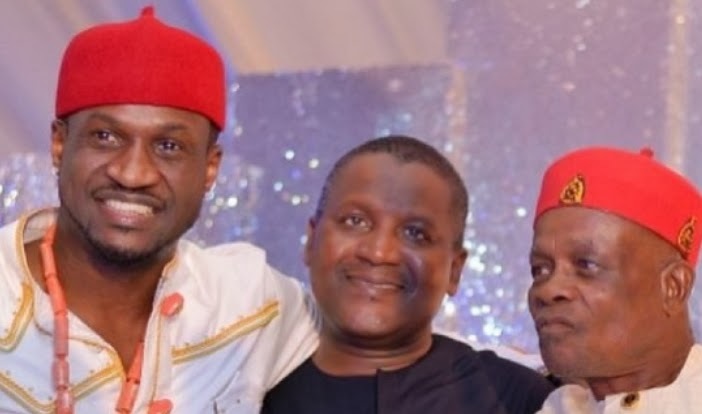 Mr Okoye was spotted on the red carpet with Africa’s richest man, Alhaji Aliko Dangote on Sunday during his son’s traditional wedding ceremony. He lost his wife Mrs Josephine Okoye last year. It’s nice to finally see him.